I remember when I was younger my mom always loved her bubble baths. I didn’t quite get it, and I never understood why she always had so many bath products. 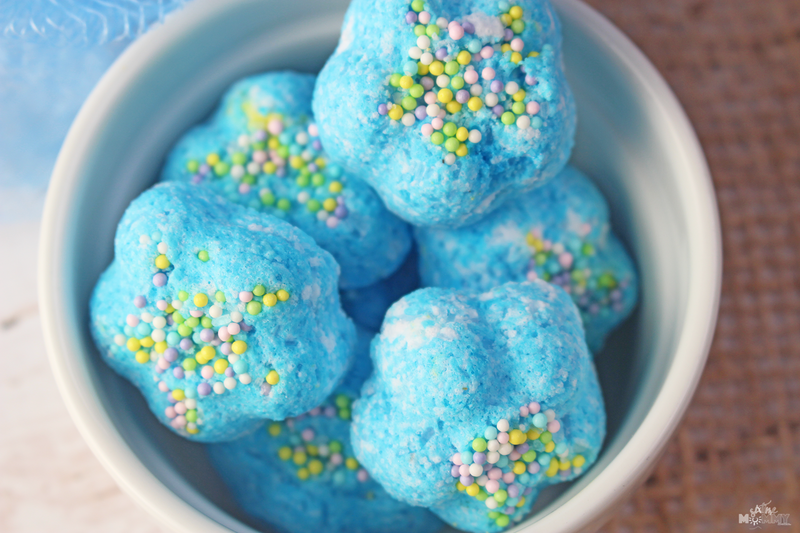 Bath salts, bath bombs, bath fizzies. Why does one need all these things I thought? 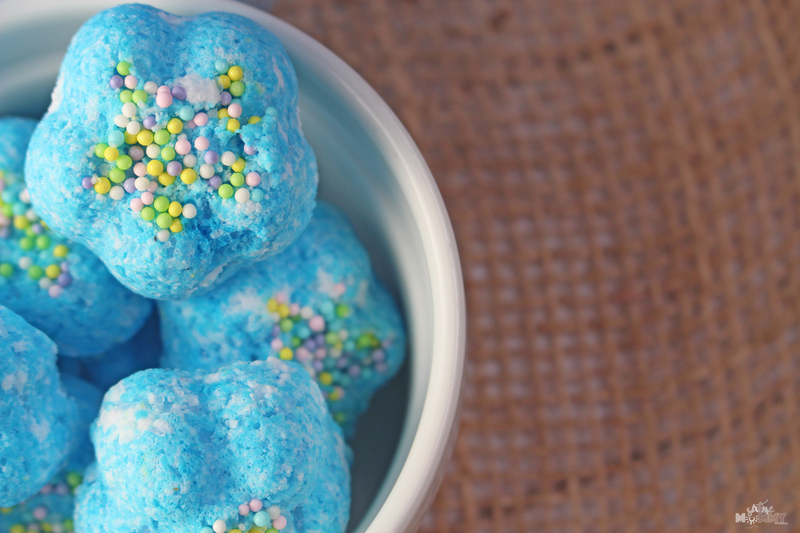 Then, I was a teen and discovered how amazing all these products are and not only make your skin feel pretty fantastic, but these fun bath bombs can also turn your water different colors. I mean, who doesn’t want a fun colored bath? Even at almost 32 years-old, I find them a must have in the bath tub! I decided it would be a fun idea to try my hand at making my own. Do you see how much some of them cost? I recently spent $16 plus $12 shipping to have 4 sent to my house as a gift for someone. That is insane — $28 total. I could make them cheaper, surely! I didn’t want to waste a ton of money before my actual molds got here for the bath bombs so I tried a small batch with the silicone molds I already had on hand, they made little flowers. They turned out so cute, and my round molds arrived today so I can’t wait to jump in and make actual bath bombs. Combine all dry ingredients then mix with your hands. Breaking any and all clumps in the process. Mix in 1 tsp of coconut oil and continue mixing with your hands. Drop in Essential oils if you are using and mix well. Spritz with the water bottle, but only a tiny bit if you do too much your mixture will start to fizz or will turn mushy. 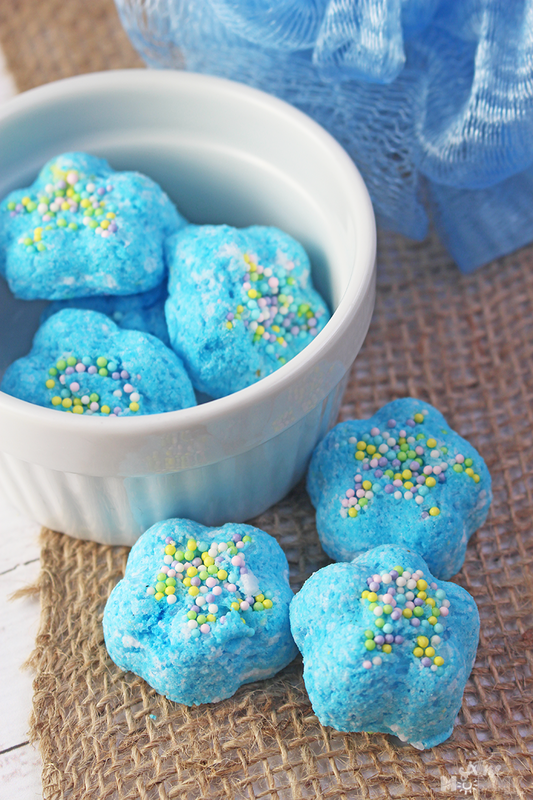 Separate into multiple bowls if using multiple colors, and add in food coloring. If using one color no need to separate. If you are using sprinkles now is the time to put them on the bottom of the mold you are using. Then layer in your colors if using, and leave to set. I made sure mine were packed in really tight and left for 10 minutes. Then took them out of the molds and left overnight to dry. They were perfect by the next morning! 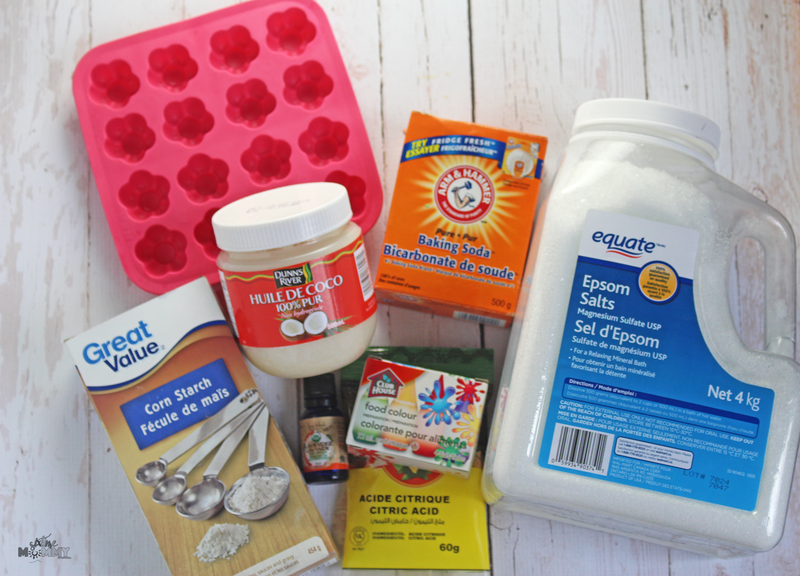 This recipe will make 12-15 fizzies depending on the sizes of your molds. I decided to use blue, and since this was my very first batch I did slightly spritz too much so I had to add more of the mix which is why you see a little bit of white but I think it adds to it. Looks really cute, and they work really well so I’m okay with the white peeking through! I was really worried about trying sprinkles with it but they are really fun. I am really excited to try different shapes and Essential oils. I also was told using olive oil, or shea butter instead of coconut oil works really well too! I will be trying some different ones, but the kids loved using these in their baths. They turned the water blue and they just thought it was the best thing they’ve ever seen! So fun. 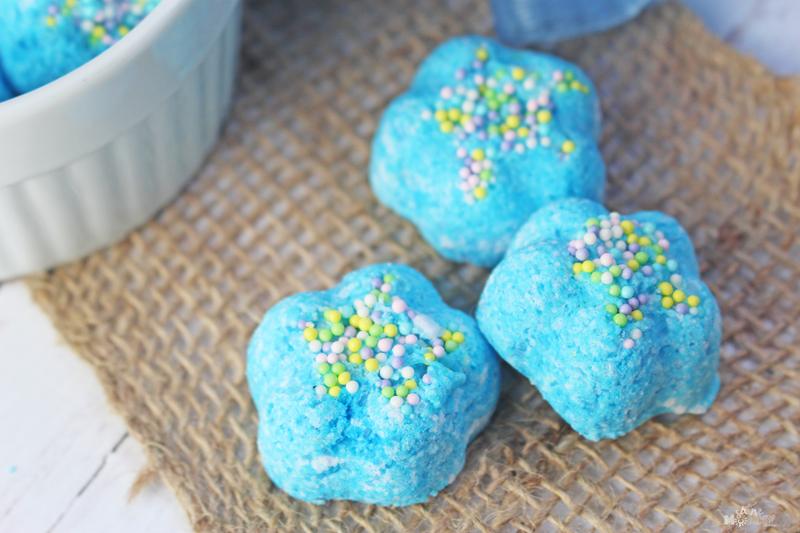 Have you ever made your own bath fizzies before? What scents would you like?